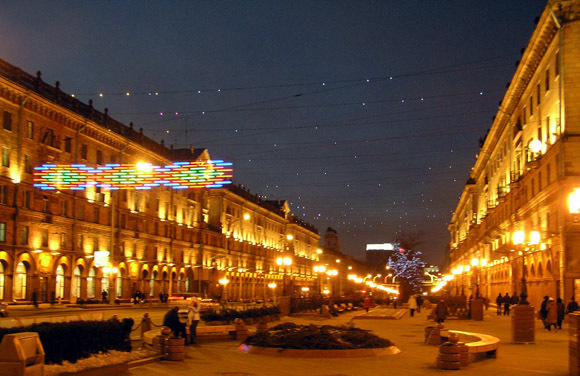 Minsk is the capital of Belarus and the biggest city in Belarus with 1,8 million inhabitants. Minsk is mentioned in script the first time about year 1067, which means that Minsk is older than European cities like Moscow and Stockholm. 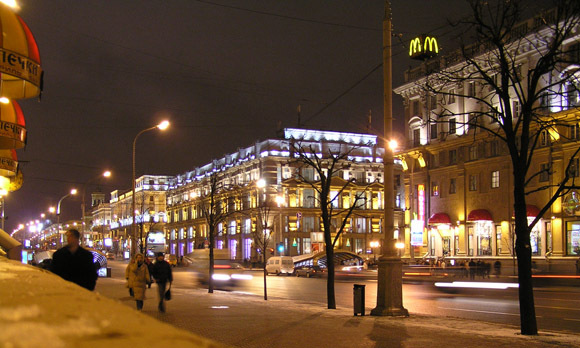 Big parts of Minsk was destroyed in the second world war and was rebuilt during the Soviet time. This means that Minsk has a lot of nice soviet-time architecture and city planning. 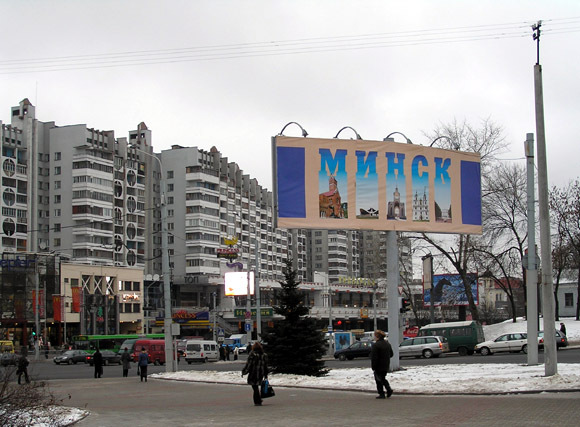 Minsk is considered being one of the most sovietic cities of the former SSSR. Nemiga street in central Minsk. Minsk is one of the least visited capitals of Europe among western tourists, which probably makes it more fun to go here. At the same time Minsk is a city that is really beatifull, both during summer when it houses a lot of nice street cafes and during the other three seasons. Winter may not be the best time of the year to visit Minsk but it’s one of the times when the city is considered to most beatifull, with a fabulous lighting. Nice lightning in central Minks. Those interested in culture may look forward to see ballet and opera performances of a very high class in Minsk. In addition to that Minsk has a lot of nice restaurants, pubs and nightclubs. In this travel guide you may read about attractions, restaurants, night life, shopping, accommodation and a lot of other interesting things. There is also a information on how to get to Minsk, Belarusian visas and other information that may be valuable when you want to visit Minsk. Main street of Minsk, Nezavisimosti.